I for one hope you're right, red. The way I'm reading it and of course it's open for debate is that we're starting on the 3rd impulse from a weak 5th primary. 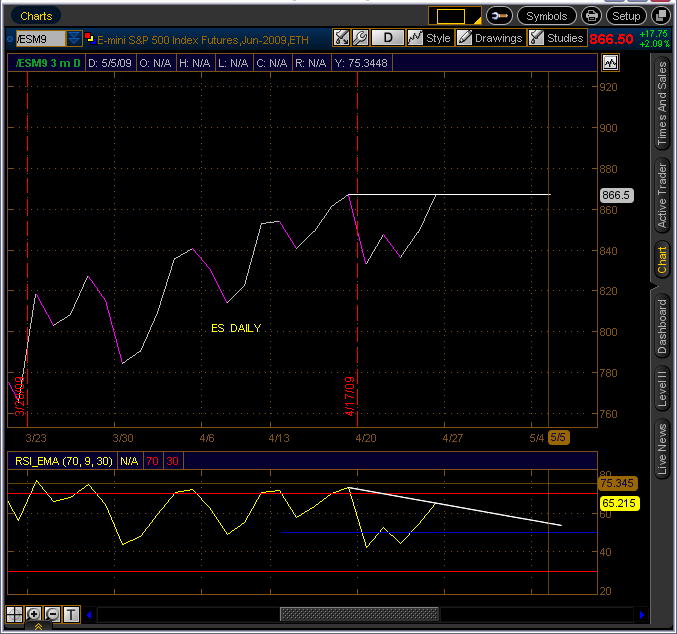 What's tricky is that the start retraced to the 50% to where it's at now only after the 2nd squibble batting for price. It really could pop hard in a triangle range in any direction to fight over it. I'm not trading this morning until after IB, or its basic handle I have on IB at any rate. Do everyone a favor and STFU talking about me. I covered 41.25. Up 3 3/4 handles. I want to see what they're doing. They way I read it a break past 41 to the downside was owned by bears. We'll see. Bought 41.75 for a nice bull run. Hopefully.